We are no longer accepting applications for summer internships. Women’s Campaign International is looking for highly motivated people to help us fulfill our mission. 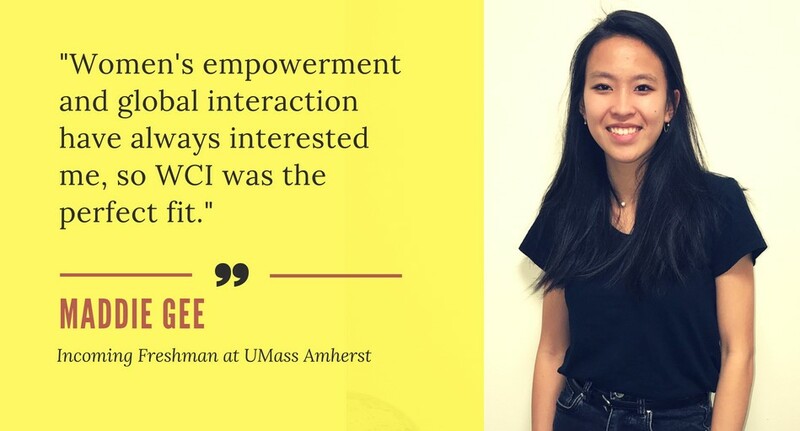 Our internship program is designed to provide undergraduate students, graduate students, and recent graduates with a unique opportunity to develop both hard and soft skills in a friendly, professional and multicultural environment. While scheduling is flexible, WCI requests that all interns commit to a minimum of 12 hours per week for at least 10 weeks. To apply, please submit a cover letter, resume, and 1 page writing sample. Please note that our internships are located in our Global Headquarters Office in Philadelphia, USA. Our internships are unpaid positions. Application materials or inquiries may be sent to Brynn@WomensCampaignInternational.org. Donor Development: Creating donor solicitations and appreciation materials such as appeal letters and thank you letters. Research: Researching potential donors and managing the upkeep of our donor database system. Fundraising: Assist in creating fundraising plans and materials. Conduct potential donor outreach via phone and email. Strong organization skills, including ability to work independently, meet deadlines, and prioritize tasks. Interest or experience in fundraising strongly preferred. Interest in and knowledge of gender issues, international relations, international development and/or human rights. Experience using Google Drive and Microsoft Excel required. Grant Development (5%): Seek out and identify possible funding opportunities, in both the public and private sectors. Research (5%): Conduct in-depth research on country-specific issues, potential partners, and current events. Grant Writing (90%): Combine research and curriculum design into cohesive concept notes and grant applications. Ability to identify and use personal judgment to determine possible funding opportunities. Experience using Google Drive required. Graphic Design: Designing print and online marketing materials. Writing: Writing newsletters and social media posts on behalf of WCI. Strategic Development: Creating a marketing plan in order to reach and engage the greatest amount of supporters. Experience posting on Twitter, Instagram and Facebook required. Experience posting on these platforms on behalf of an organization preferred. Ability to identify and use personal judgement to determine relevant content to share on behalf of WCI. Advanced English language skills required. GALS interns will focus their efforts on the development, implementation, and evaluation of the Girls' Advocacy and Leadership Series (GALS). Launched in 2009 in WCI’s home community of Philadelphia, Pennsylvania, the GALS program equips adolescent girls from low-income neighborhoods with leadership and communications skills, instilling the confidence to effect true social change in their lives and in their communities. Over the course of the nine week program, participants are trained through weekly workshops on public speaking, financial literacy, advocacy, safe dating, communication, and team building. Donor Development and Fundraising: Assist in developing and executing overall donor solicitation strategy for GALS programs, including creating donor solicitations and appreciation materials such as appeal letters, reports, and regularly updated thank you letters. Grant Writing: GALS Interns will be responsible for drafting concept notes, grant narratives, and program budgets for future GALS sessions. Monitoring and Evaluation: Enhance existing monitoring and evaluation materials for GALS, as well as draft M&E reports for internal and external audiences. Event Management and Implementation: Serve as a coach for a group of 4-5 girls, and assist in developing marketing materials for the GALS program. Familiarity with issues facing high school girls in Philadelphia. Must be comfortable talking to new people/groups, building relationships, and serving as a leader/mentor. Interest in grant writing, donor relations, and/or general fundraising. Excellent written, oral and visual communication skills. Don't have time for a full internship? Looking for a mentorship to fill your high school requirement? We'd love to have you! Maddie and Clara recently finished their 1-week mentorship weeks with WCI, and we could not be more impressed by them! Clara designed a GALS program for her high school, and Maddie designed a women's empowerment program for Egypt. In one week, the girls learned how to research an issue, identify the problems and create solutions to those issues. 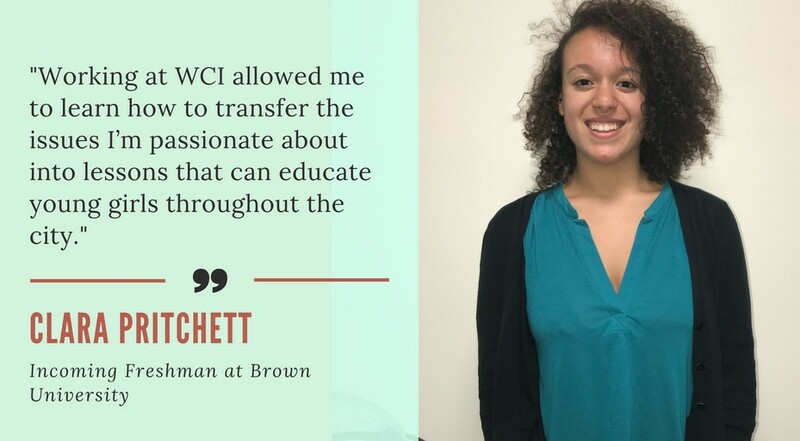 Through program proposal writing, grant research and writing, budget creation and designing marketing materials, the girls learned the beginning-to-end process of creating a WCI program. Email Brynn@WomensCampaignInternational.org for more information.